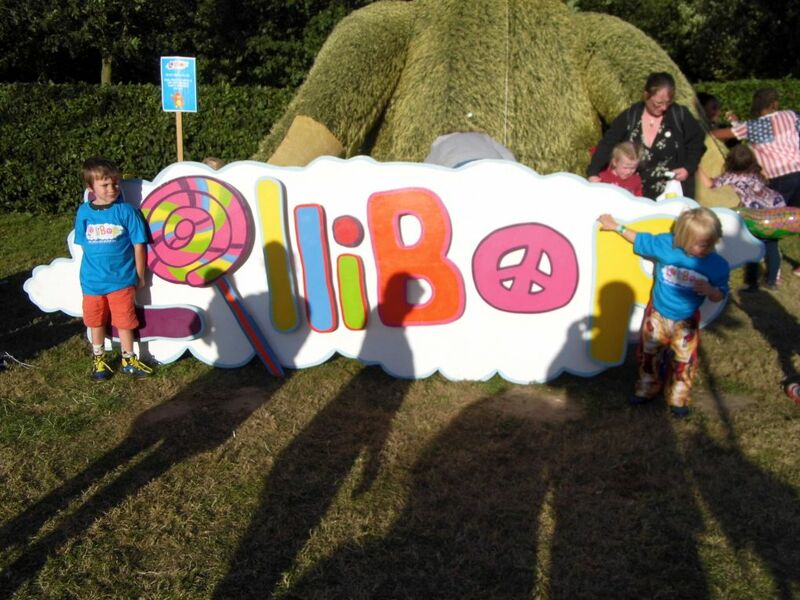 A few weeks ago now I started religiously entering any competition i could find to try to win tickets to Lollibop 2014,I think I would have ending up buying tickets anyway had I not won a family pass with The Boy and Me. I had read loads of reviews about it over the last couple of years and was sure it was something that the whole family would enjoy. As we are a family of 5 and the ticket only allowed entrance for a family of 4 I booked an extra ticket and a parking pass online in advance. This saved us £3 on the price of entry and £4 on the price of the parking ticket. 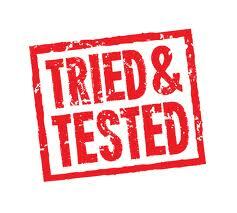 2) I didn’t want them to be disappointed should some things not be possible. On Sunday morning at 6.30am we put the Tiny 3 in the car and started the 2 1/2 hour journey to Hatfield House, again without telling the tiny 3 where we were going. The excitement for them started when i announced that they needed to get dressed as quick as possible because we were going to have breakfast in the car! To make the morning run smoother we’d packed the car and made the picnic the night before. 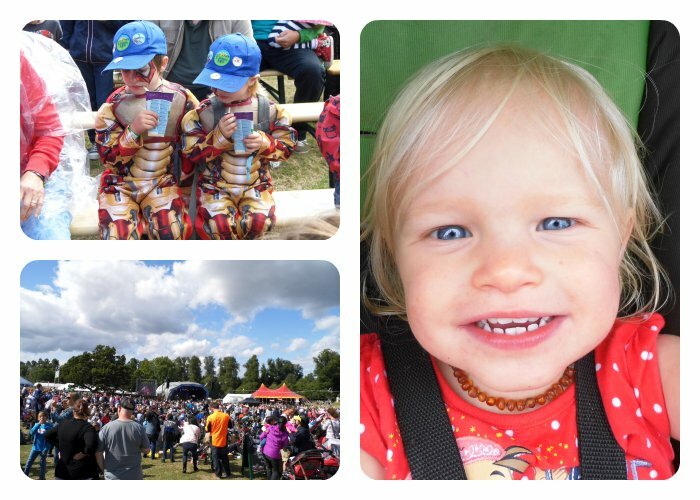 We arrived at Lollibop at about 9am and managed to park right next to the entry and exit gate. 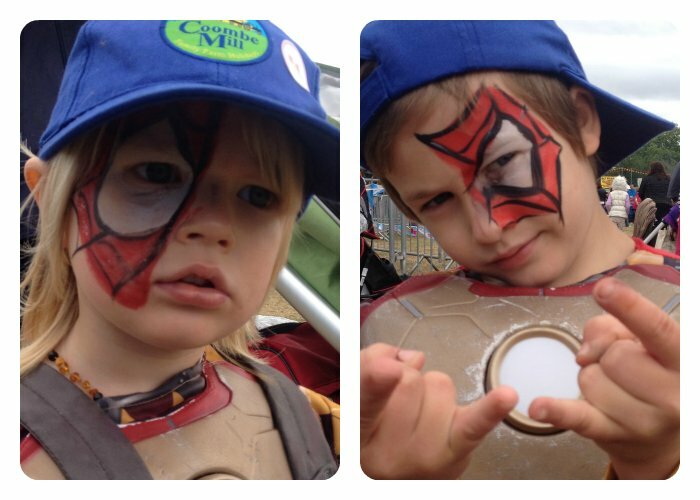 I went to wait for the press office to open to collect our wristbands whilst Mr M&TTT got the pushchair loaded up and the kids ready for their day ahead, luckily I’d packed their ironman costumes as they wanted to wear them over their clothes. While I was waiting I felt a tap on my shoulder and heard a friendly ‘ arr great you made it then’ from behind me I turned around to see the ever lovely Alex from cbeebies with his gorgeous family. When we got into the lollibop arena we collected a map and schedule (because the one i’d carefully planned was sat on the stairs at home!) 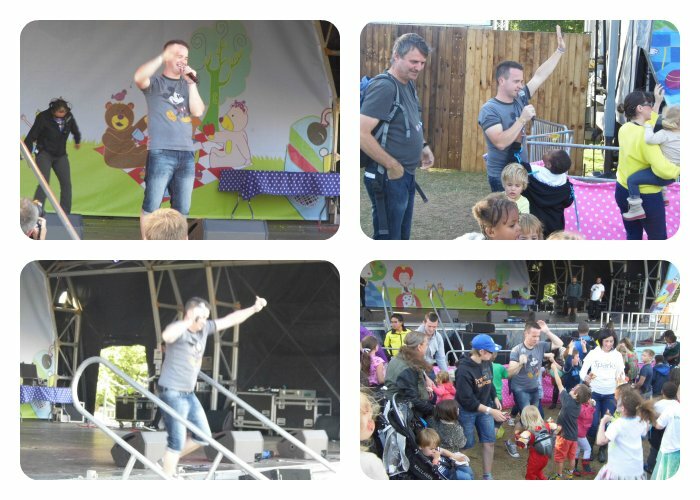 the boys made a beeline for the main stage where Alex was the compere, and as always he had the whole crowd thoroughly entertained. 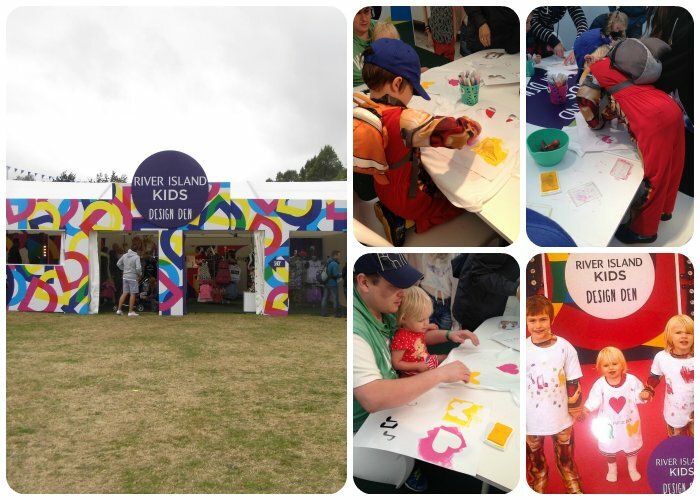 We then decided that as it was still early and quiet we’d take the kids to the river island design den before the queues got too long, her the tiny 3 all got to design their own T-shirts and have their photos taken on the red carpet. Whilst I let the boys loose on their own T-shirts Daddy helped LA do hers well she’s not quite 2 yet afterall. 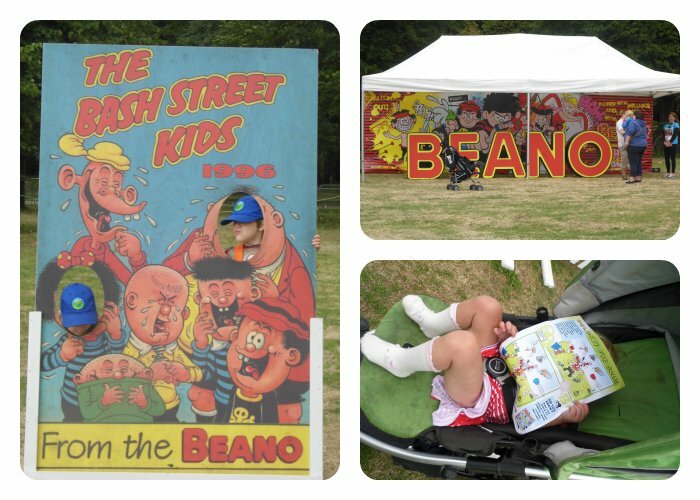 We then decided to check out the beano area, more for me and Mr M&TTT as it brought back memories of our childhoods, but at just 5,3 & 1 the tiny 3 are a bit young to appreciate it yet. At this point the grey clouds were closing in overhead, so we looked for something undercover to do, luckily the Alex Winters meet and greet was about to start, inside a marquee so we decided to take the kids to that. We were so thankful that it was undercover as the rain really did come down heavily for about 10 minutes. 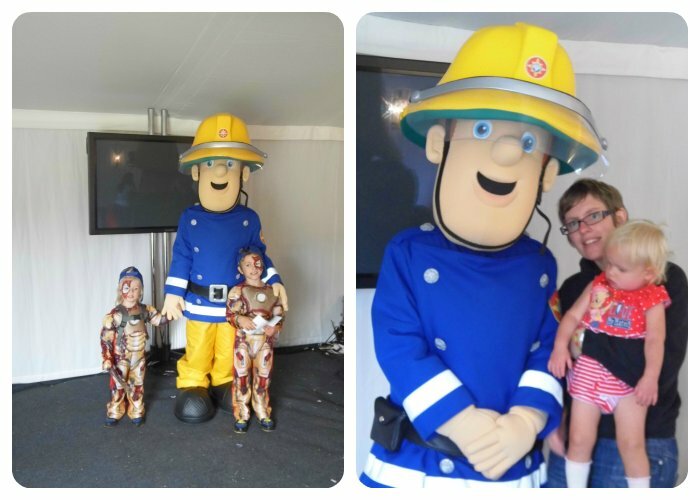 Once the rain knocked off we decided that as there wasn’t anything on the main stage that the kids would be interested in seeing we’d have a walk around the site and see what other activities were available, we discovered a tent offering free face painting and also a fireman sam meet and greet tent, where you could chill out and watch an episode or 2 of fireman sam. Neither of these activities had any queue, which really surprised me. 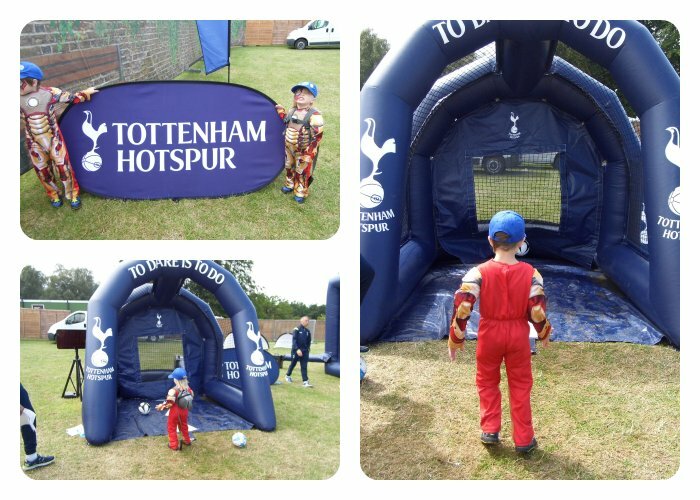 We then discovered the Tottenham Hotspur soccer school, and although they don’t really like football the boys wanted to try and score some goals, we were really surprised that again there was no queue for the football so we let the boys have a go. 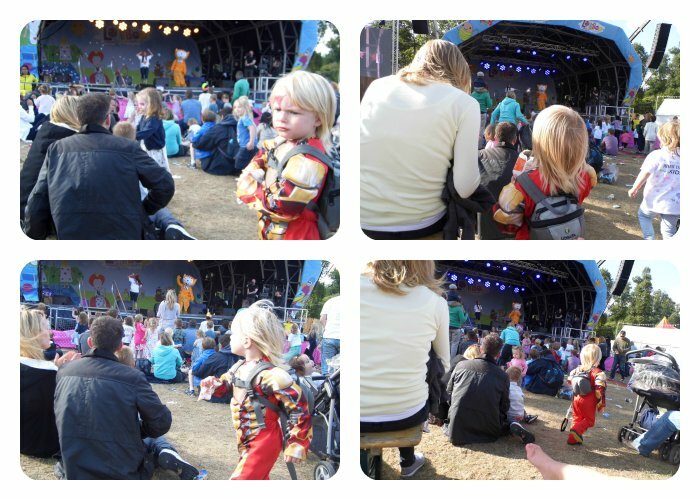 The one thing I was concerned about with going to Lollibop was the fact that the boys really don’t like queuing at all for anything! By now it was lunch time and the tiny 3 were getting hungry, but they also wanted to see the Andy Day show so we decided to combine the dreaded queuing with the boys and the picnic, so Mr M&TTT set up the picnic in the queue line while I took the boys to the toilet and to see a little bit of the Lazy town show. Whilst sat watching the show the boys were given a free vita coca kids drink, which was much needed as the sun was getting quite warm. We then headed back over to the queue to have some dinner, we apparently weren’t the only ones to have this idea as the whole queue line seemed to have set up picnics. Andy’s show was well worth the wait and all 3 kids loved it although TP was a bit scared of the inflatable dinosaur. 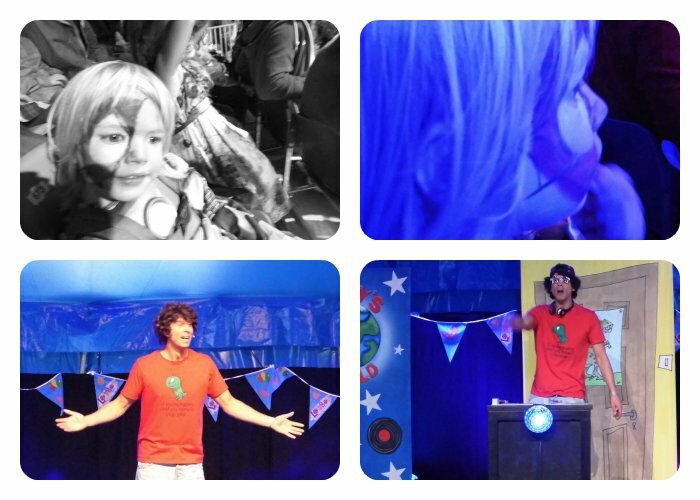 Andy Day really is an incredible entertainer and even kept the adults entertained throughout the 30 minute show. 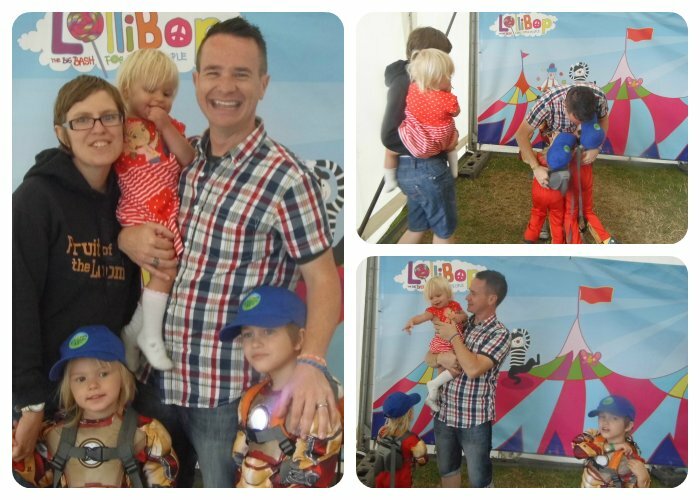 After Andy’s Show the boys wanted to know if they could get their photos taken with him, we had a look at the schedule and headed straight to the meet and greet tent where he was due to be appearing. The boys were excited to be meeting Andy and were excitedly discussing which was their favorite dinosaur and who got to tell him LA’ s name,as a parent it was such a joy to watch. 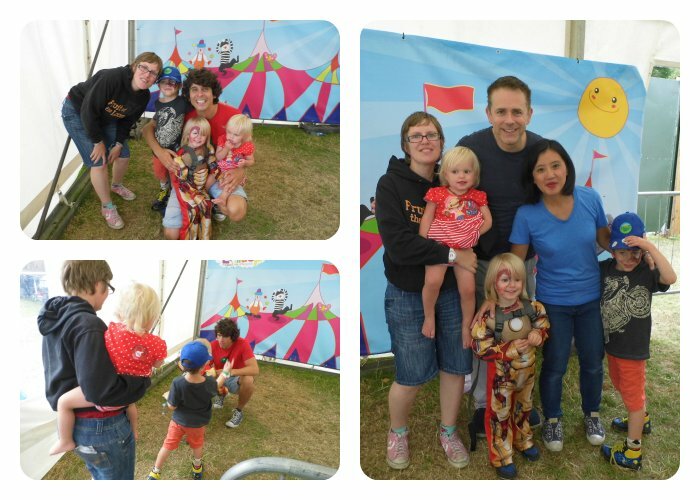 We also got to meet the lovely Chris and Pui from Show me Show me this was perhaps my favorite meet and greet because I can remember watching Chris Jarvis on fully booked as a youngster. 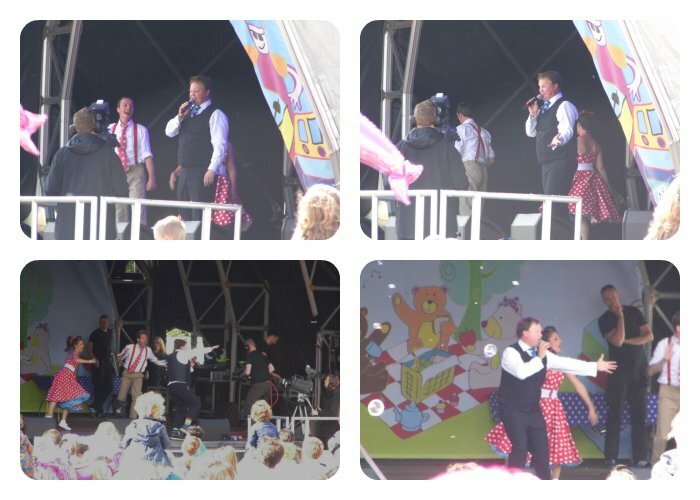 Whilst we were waiting to see Andy the master was entertaining the masses, obviously I’m talking about Justin Fletcher! Luckily from where we were waiting we had a fantastic view of the stage and could hear Justin’s set. The Lollibop arena was so spacious that up until Justin was on stage I really didn’t realise how many people were actually at lollibop, it didn’t feel crowded at all. We then took a walk around to see what other activities were on offer for the kids to participate it. 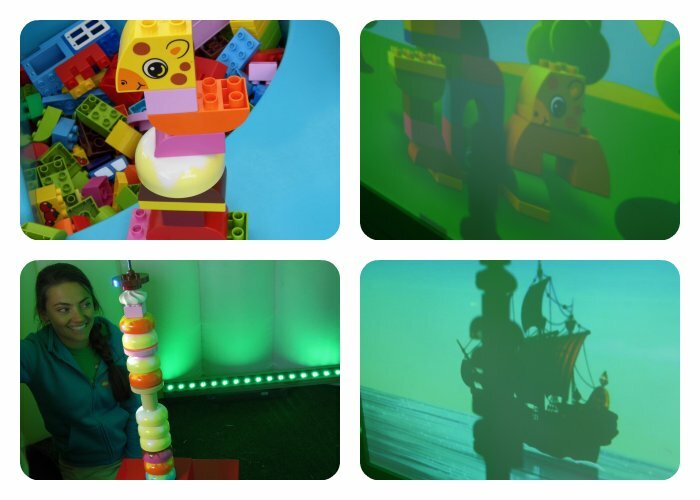 Our 1st stop was the Duplo play area where the boys made duplo creations and then got to see them come alive in the duplo interactive tent. JR designed an Ice cream pirate ship and that became Bucky from Jake and the Neverland pirates, and TP designed a 2 headed animal which had a caterpillar and giraffe head, the video for this was each animal swapping about. The boys thought it was absolutely fantastic, even better for me was the fact there were no queues. 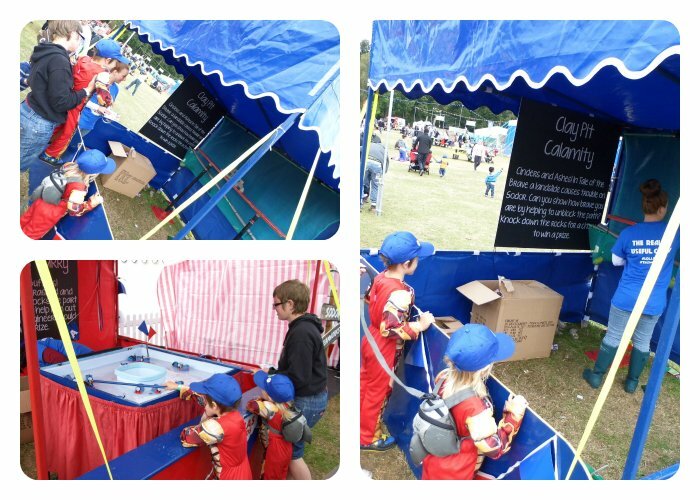 We then played in the Thomas the tank engine island of sodor summer fayre area where the boys could take part in a variety of games to win prizes ranging from stickers and crayons to magnetic photo frames, again as with everything else this was included in the entry price. 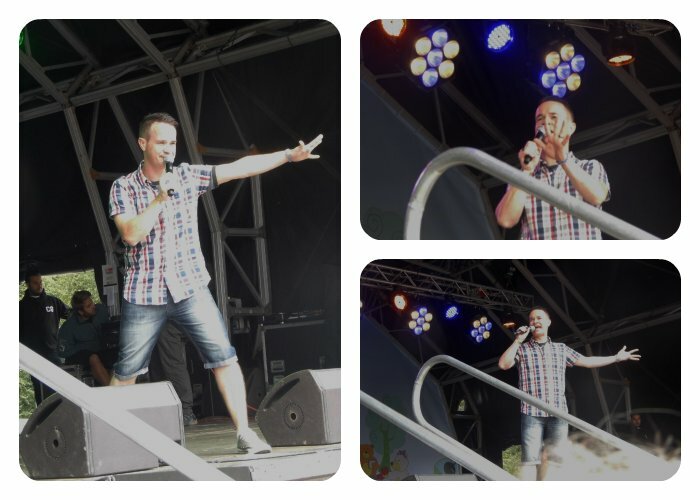 After visiting the thomas area we went headed over to the side of the arena we’d not yet visited we got there via a stop off at the main stage because Alex was once again fuelling the tiddlers with haribo, I mean is there ever such a thing when you are 3 & 5 as too much haribo??? After watching Alex for a little while we headed over to the Vita Coca Kids area where there was a beach, colouring activities and the kids also got to design another t-shirt each, the only difference to the river island design a t-shirt being, not many people knew it was there so it wasn’t busy and as such there was no time limit I think we were there about 30 minutes but didn’t feel rushed at all. 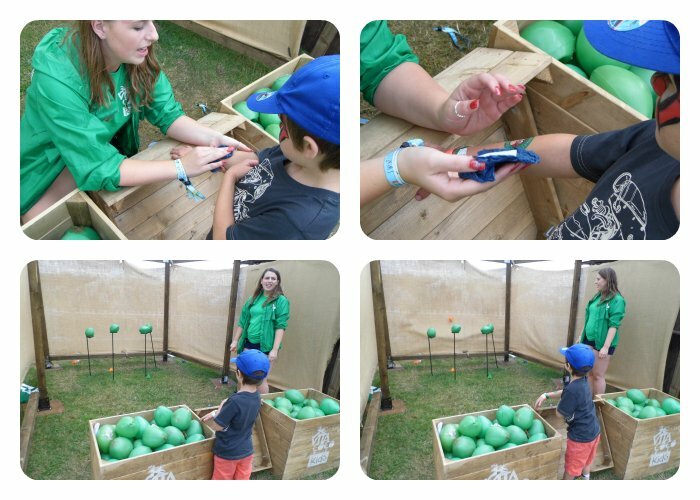 JR even had a go at the coconut shy and won himself a tattoo. We then headed back to the main stage at TP’s request because Poppy Cat was on the stage, and he wanted to dance with her. I have to admit I didn’t even know that TP knew who poppy cat was but he really enjoyed dancing with her and playing copy poppy. 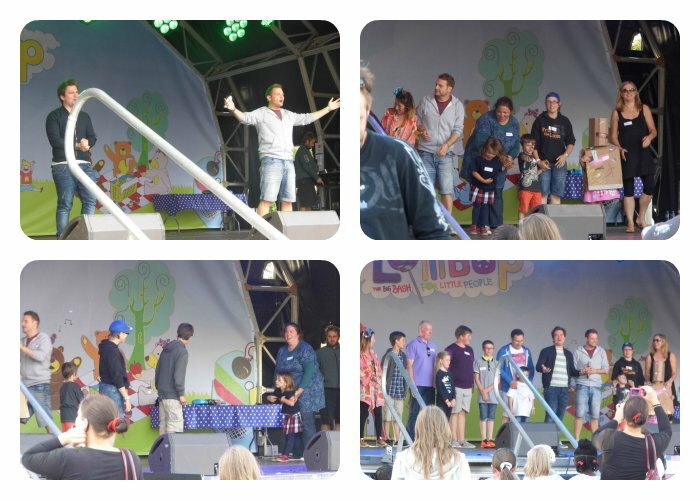 It was then time for sam and Mark to appear on stage to play a game of copycats the programme they present on cbbc, this is where there was a chance of playing on stage, JR put his hand up to play which was fine by me until they said that they needed to bring a parent with them, That parent was me! JR wanted to be on Sam’s team but didn’t get picked, however when it was mark’s turn to choose he frog marched me to the side of the stage and very politely said to Mark “Please can me and my mommy play?” Of course Mark said yes so that meant I was playing too. I was quite nervous and very apprehensive about being on stage but it was actually quite fun, and a really nice way to end a thoroughly enjoyable day. Our team lost and that meant that sam got to Soak Mark. 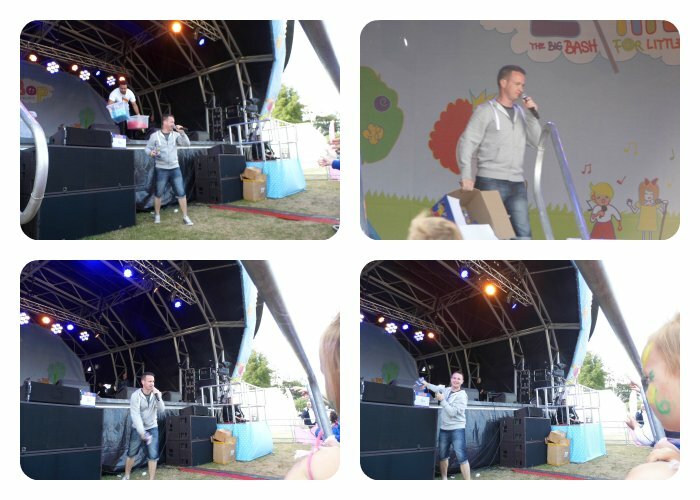 By no it was about 5.45 and Lollibop was coming to a close but Alex tried to keep the party going for as long as possible by throwing still more haribo into the crowd before coming off the stage to dance with all the kids, to be honest I’m not sure who was having more fun the kids or Alex it was hard to tell, by now most of the adults engry was starting to wane but not his, he was as bouncy at 6.20pm when he was finally told it had to finish as he had been at 10am. We arrived home at about 10pm with a car full of happy but shattered people and even happier memories. There were so many activities that we didn’t get time to take part in but we didn’t stop for a minute all day, for us the important thing was for the kids to be happy and such we let them decide what they wanted to do, and they wanted to see there cbeebies heroes on stage or at meet and greets rather than doing all of the activities and that was fine with us. Yes it rained for a small amount of time but that really didn’t spoil our day. This was our 1st Lollibop and I’m sure it wont be our last JR has 5 years until he’s 10 LA has 7 so I’m sure we’ll be enjoying it for many years to come! I’ll leave you with a photo that I think just about sums up our day, can you guess which was taken while Justin Fletcher was on stage?? This entry was posted in Days Out, My Stuff, Review, The Tiny Three and tagged alex winters, andy day, chris and pui, fireman sam, justin fletcher, lollibop, poppy cat, sam and mark, thomas the tank engine, vita coca kids. Oh they just have to make you an Ambassador next year as this has to be one of the best Lollibop reviews I have seen. It is literally OOOOZING joy. It makes me want to go even though I did already LOL. I didn’t get to meet any stars as I had blogger wristbands and not VIP ones, but we did get a pic with Natalie Cassidy. I have some footage of Andy Winters in my You Tube video – he was simply the BEST! Awesome awesome awesome! Thank you so much for your lovely comment, We only had blogger wristbands too but queued for the meet and greet at the tent next to the main stage. We really had one of the best days ever! Wow! This looks great. 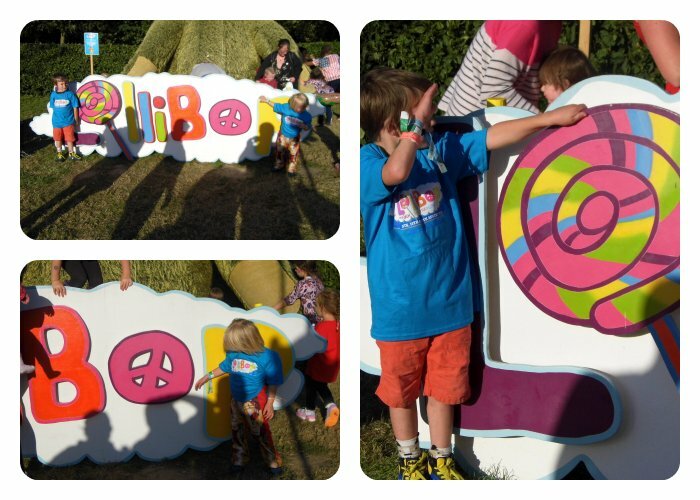 Lollibop has been on my radar for a while, but now I think I’ll have to get organised for 2015. And Chris and Poi look great! Looks like you had a fab time. Every review I’ve read reveals other stuff we didn’t get to! But it was wonderful and so glad you managed to get tickets. Aww! Looks like you had such an amazing day! what a great review! we went on the sunday for the first time ever and it was amazing! Thank you, we probably passed each other at some point during the day then. What a wonderful full day of fun for the whole family!! The children must have been overjoyed to see all their favourites from TV. Thanks for linking up and sharing with Country Kids. Looks like you had an amazing time – how Alex Winters kept bouncing for the that long I will never know – he must have slept for a week after!